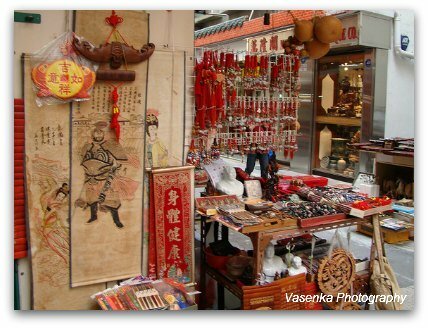 For Chinese Antiques, Furniture and all sorts of gift items take a stroll around the area of the Man Mo Temple, one of the oldest and most famous temples in Hong Kong and very close to the Central District. 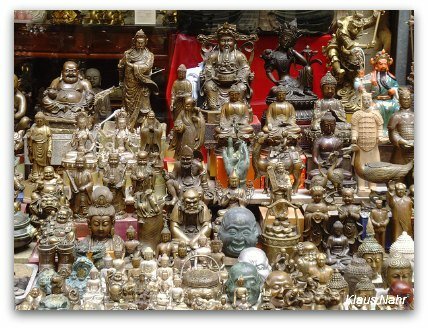 This area is a perfect hunting ground for all sorts of collectibles, from original antiques and elaborate pieces to small trinkets and memorabilia. 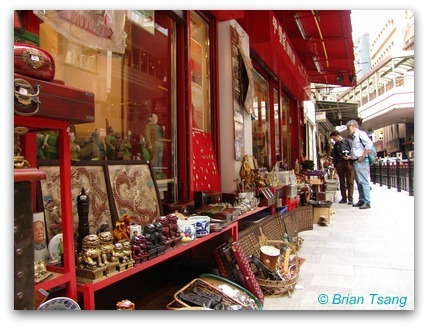 There are two main streets where you find a concentration of antique and furniture shops as well as curio markets: Cat Street and Hollywood Road. Cat Street is a pedestrian lane with stalls of curio shops peddling all sorts of inexpensive pottery, jewelry, ornaments, coins, carvings, mao souvenirs, etc. The official name of Cat Street is Upper Lascar Row and is a fun place to haggle and go bargain hunting for some trinkets to take home. 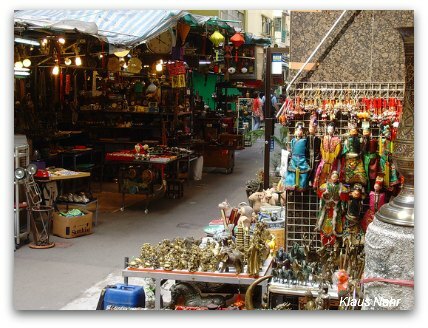 Cat Street is located Southwest of the Sheung Wan MTR station and runs parallel to the better known Hollywood Road. Hollywood Road is lined with antique shops offering a colorful array of paintings, pottery, furniture, that may or may not be the real thing. You are likely to find many reproductions and if looking for genuine pieces, you should probably stick to reputable shops and the antique auctions. That being said, this is a fun street to stroll and have a look and even pick up a few pieces. We have bought some beautiful silk screens here in the past as well as a "wedding armoire". Bringing the items home was no problem as all the shops are used to packing the items for travelers and/or shipping overseas. The shops on the Eastern side of Hollywood Road seem to carry more upscale and unique quality pieces, whereas the ones around the Man Mo Temple area and parallel to Cat Street carry more of the mass-produced, inexpensive merchandise and Chinese handicrafts which are great for gifts and souvenirs. 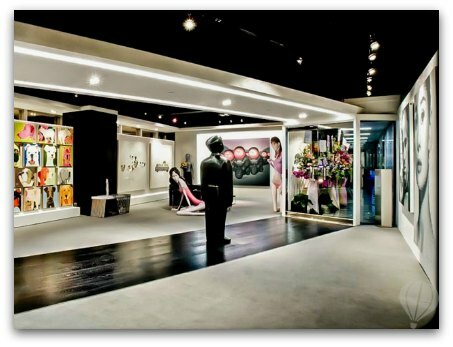 If you are interested and want to plunge into the art and cultural scene in Hong Kong, consider taking part in the weekly SOHO art gallery walk. Guides are extremely knowledgeable and passionate bringing you abrest the latest trends as well as offering insights into artwork valuation and auction secrets. Art Walks are offered on Saturdays only. English Tours meet in Hollywood Road in Central at 11:00 am and 1:00 pm and last about two hours. 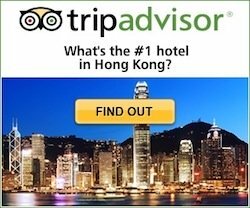 Chinese tours are also offered. When you're done with the shopping, hop on the Ding Ding Tram and head west on to the old and traditional part of town lined with dried seafood shops, herbal medicine shops, tea houses, etc. in the old Sheung Wan neighborhood. 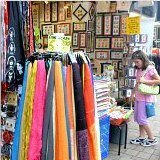 New and Old Hong Kong Walking Tour: Sheung Wan District This guided walking tour takes you through the district of Sheung Wan, where you will be immersed in a world of specialty shops, art galleries and temples. 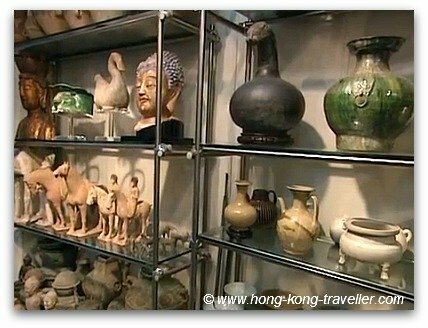 The past and the future converge here, allowing you a peek into authentic Hong Kong life. Ride a traditional tram and sample delicious Hong Kong goodies. 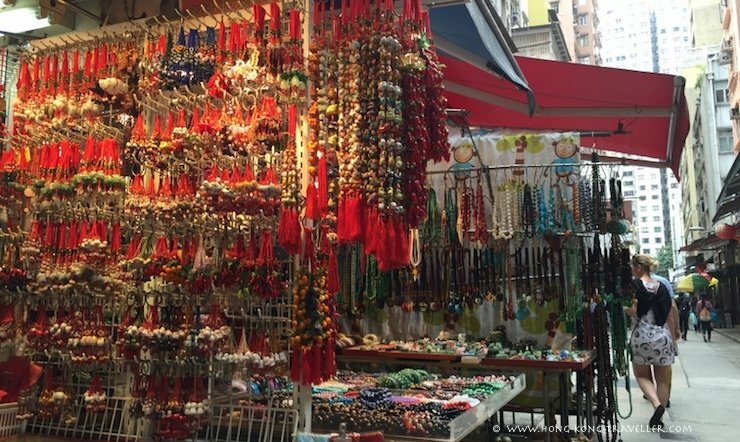 ›› A DIY Walking Tour of the colorful and lively Kowloon Markets.